Congratulations to the 2019 SHSJAE winners! 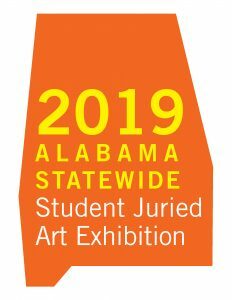 The Shelby County Arts Council, in partnership with the University of Alabama at Birmingham Department of Art and Art History and the University of Montevallo Department of Art, presents the 2019 Statewide Student Juried Art Exhibition. This show features the work of high school students from across the state of Alabama. Deadline for 2020 submissions will be announced in late 2019.